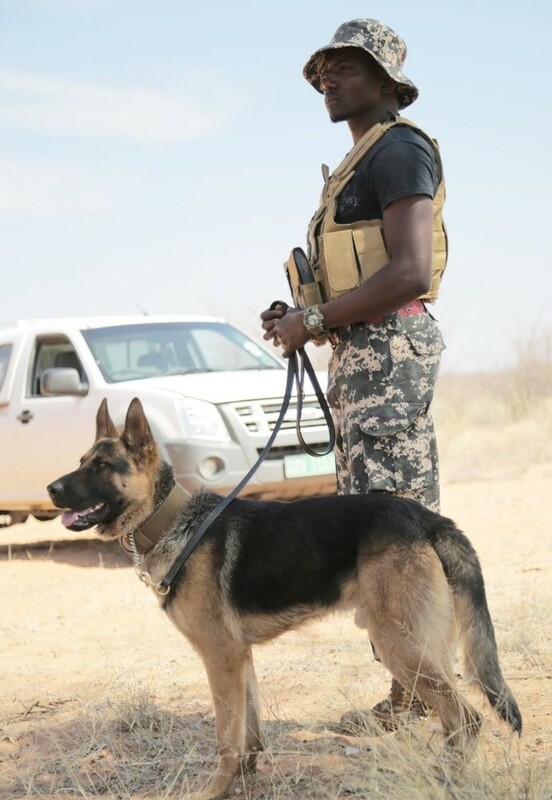 Namibia's environment ministry recently inaugurated a new canine unit that will be put into action to protect the country's wildlife. During the inauguration, which took place at Waterberg, environment minister Pohamba Shifeta aired his concerns that the country's rhinos and elephants were particularly vulnerable to poaching by criminal syndicates. The dog unit is comprised of four German shepherds imported from Holland at a cost of N$240,000, plus an additional dog that was acquired last year. According to Shifeta, funding was obtained from several sources, including the US Fish and Wildlife Service and Save the Rhino Trust. Shifeta said that the environment ministry has put more emphasis on conservation law-enforcement in a concerted effort to protect Namibia's wildlife from poaching activities. "All four dogs are trained to search buildings, vehicles, baggage and open areas for firearms, ammunition and illegal wildlife products such as ivory, rhino horn, pangolin scales and bush meat," said Shifeta. Shifeta explained that last year, they began looking into the viability of implementing a canine unit via a partnership with Invictus K9, which specialises in the establishment and support of law-enforcement with canine units across Africa. 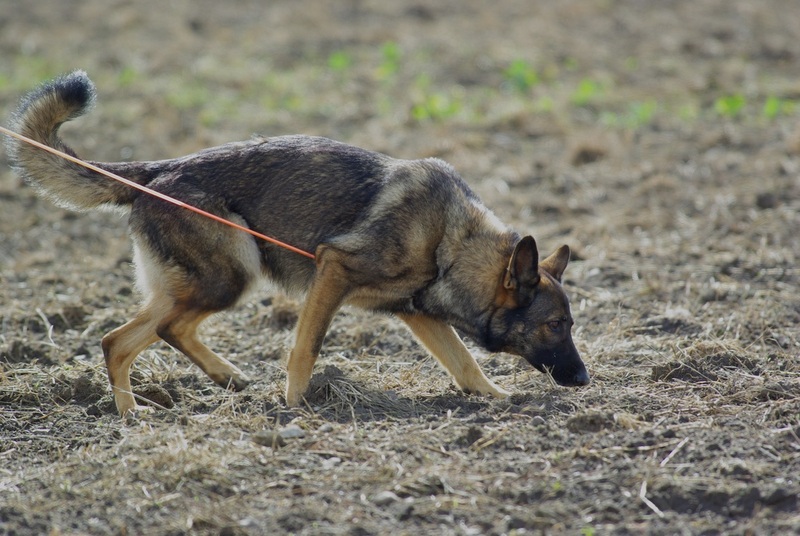 Namibia's canine unit will be put into action within the Etosha and Bwabwata National Parks, as well as other conservation areas, and will also be used at key points such as border posts and airports. The environment ministry is planning on acquiring an additional three dogs by the end of 2018. The United States of America's ambassador to Namibia, Lisa Johnson, said the acquisition of the dogs complements other US government-funded programmes to combat wildlife crime. "We want to stamp out poaching and trafficking, which harm Namibia's economy," said Johnson, noting "that the support aims to balance the enforcement and human sides of conservation efforts." Meanwhile, in the run up to the second national land conference being held in October, Shifeta also made it clear that no part of any national park would be transformed into communal land. National parks are protected areas belonging to the state. This protected state owned land cannot be de-gazetted to turn it into communal land. Namibia has 20 state-run protected areas that cover around 17% of the country's land surface area. Shifeta said some people have been requesting that parts of national parks be transformed into communal land. However, he stressed that the very people making these requests already own large tracts of land, which they supposedly acquired through traditional authorities. "Let those who fenced off huge portions of communal land cut some portions off, and make provision for others first before they talk about national parks," Shifeta said, adding: "In some areas, you will find that an individual has more than 2 000 hectares, which is illegal as per the Communal Land Reform Act," which according to Shifeta limits the allocation of land to 20 hectares per person.